Tiyaan, one of the most anticipated Malayalam movies of the year, is all set to release for this Eid season. This multistarrer directed by Jiyen Krishnakumar will hit screens on June 29. 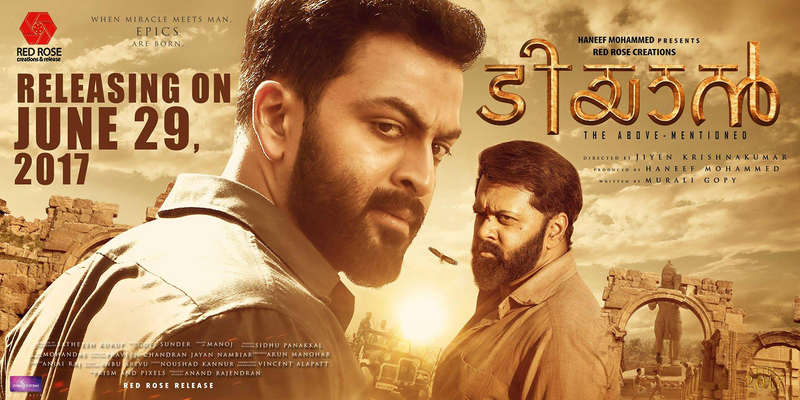 Tiyaan, written by Murali Gopy, is one of the most expensive Malayalam movies to have released till date. The movie boasts of a stellar star cast that includes Prithviraj, Indrajith, Murali Gopy, Padmapriya, Ananya and many others. Tiyaan is socio-political drama set in the North Indian milieu. It is the story of two youths who get caught in the religious clashes in North India. The team shot for months in North Indian places like Varanasi, Ladakh etc. They filmed the famous Kumbh Mela live in 2015. Several shots was filmed amidst 1000 artists in live locations. 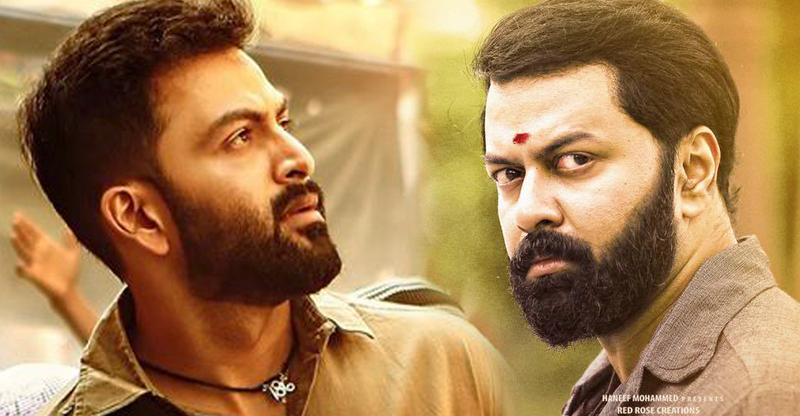 Prithviraj is playing the role of Aslan Mohammed and Indrajith’s character is named as Pattabhiraman. Murali Gopy will be seen in a new makeover as Ramkant Mahasay. North Indian actress Mrudula Sathe is playing Prithviraj’s wife in the movie. Bollywood actor Ranjeeth, Rahul Madhav, Shine Tom Chacko, Suraj Venjaramoodu, Prakash Bare and Paris Lakshmi are also part of the cast. Tiyaan is produced by Haneef Mohammed of Red Rose Creations. They have invested around Rs 25 crores for the movie. The movie’s promos have not revealed anything about it’s plot and that has piqued the curiosity of the audience. If the promos are anything to go by, Tiyaan will be a new experience for the Malayali audience. All eyes on June 29!